Daily Record column is entitled "Social Media for Women Lawyers." Social media can be a powerful rainmaking tool for women lawyers because social media plays to their professional strengths. Studies have shown that women lawyers are reluctant to promote their accomplishments and for that reason, social media is a great fit for women attorneys. It allows them to demonstrate their substantive knowledge without having to brazenly promote themselves. Women also excel at communicating and collaborating, traits that social networking facilitates and rewards.Likewise, social media provides women attorneys with much-needed flexibility, allowing them to network and showcase their expertise on their own time. Women lawyers can use social media platforms from the convenience of their own home or office, expand their immediate circle of contacts and initiate online men- toring and business relationships with lawyers at other firms and with successful professionals from all over the world. Social media can also benefit women lawyers who are working part-time or seeking reentry to legal prac- tice. For example, many job-seeking lawyers tend to overlook one of the most obvious ways to use social media to stand out from the crowd: Start a law blog. Blogging can be beneficial to women attorneys seeking to tran- sition back into the legal field in many ways. Blogs allow lawyers to demonstrate their substantive knowledge, showcase their writing and analytical skills, and convince prospective employers that they are on top of changes in their field. For women lawyers in search of a job, blogging is most effective when the blog focuses on the substantive area of law in which they hope to practice. There are a number of different types of posts that a topical blog of this type can include: commentaries about recent news articles regarding the area of law the blog focuses on; discussions on issues raised by other law bloggers who write about similar issues; or summaries and analysis of recent case law or recent statutory changes. Effective blogging can lead to many unexpected opportunities. For example, my first law blog, Sui Generis, was instrumental inhelping me ease back into the legal arena after a three-year, self-imposed hiatus. That blog proved to be invaluable to my subse- quent career path and has resulted in countless professional, writing, speaking and networking opportunities. Unfortunately, not many women lawyers are blogging or otherwise using social media to their benefit. There are a number of possible reasons for this: some women aren’t con- vinced of the value of social media; some feel there’s simply not enough time for them to balance social media, work and their family obligations; while others, including those seeking to return to the work force after an absence, lack confidence in their tech skills. For that reason, I’ll be holding a webinar at 3 p.m. on Dec. 2 with Carolyn Elefant, with whom I co-authored the book “Social Media for Lawyers: The Next Fron- tier.” During the webinar we’ll explain how social media can benefit women lawyers and how to ease into social media without feeling overwhelmed by technology or information overload. You can register for the webinar here. Women lawyers are uniquely positioned to reap the benefits of social media. It’s simply a matter of understanding and taking advantage of this new, flexible platform that has the potential to level the playing field. Of course, social media isn’t a “magic bullet,” but it does provide women attorneys with one more powerful tool in their arsenal. Women lawyers should learn about it and use it to their advantage so that they can successfully differ- entiate themselves, expand their networks and compete in ways never before possible. Once again, the ABA Journal's Blawg 100 popularity contest has failed abysmally to include a fair cross spectrum of legal blogs. I've been silent for years on this issue, but this year, I've had enough. It's been a while since I wrote about women and blawgging, and I figure it's high time I addressed the issue once more. Of the 100 blawgs nominated by the ABA staff as "the best and brightest law bloggers in a variety of categories," perhaps 10% are written by women. Now one might think that there is a dearth of women attorneys blogging, but that's simply not the case. There are plenty of high quality blawgs written by women attorneys. But, for some reason, those blogs are largely ignored by the ABA Journal and other blog popularity contests. For now, let's address the "legal tech" category, since technology blogs tend to be dominated by men. So one can only assume that if there are women lawyers blogging about tech, there are certainly a higher percentage of women authoring blogs that fall under the other Blawg 100 categories. 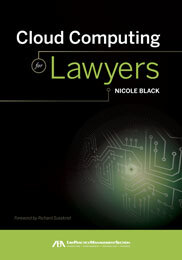 Of those 9 blawgs featured in the legal tech category, only one is authored by a woman: Sharon Nelson's blog, Ride the Lightening. There are plenty of well written, interesting law blogs written by women. They're just not getting the attention they deserve. I'm tired of the ABA's tendency to focus on many of the same blawgs every year--and their absolute failure to include a comparable percentage of high quality blawgs written by women. It's troubling, to say the least. (***Edited to tone down my rhetoric;)). As I've mentioned in the past, blogging is changing and much of the discussion about blog posts occurs on other social media platforms and that was certainly the case with this post. Although there are a number of great comments below, there were also some great conversations and comments on Facebook and Twitter that merit inclusion in this blog post. First, a number of people pointed out that they have been involved with the ABA's selection process (or know those involved) (Reginald F. Davis (@recessguy), Bob Ambrogi (@bobambrogi)), that many women participate in the process (Lisa Solomon (@lisasolomon)) and/or that they've seen no evidence of bias. Others questioned my methodology which was arguably off the cuff and not exactly scientific, since I simply estimated numbers based on a cursory review of the nominees. Others pointed out that I failed to take into account the group blogs that were nominated and included women bloggers (Molly McDonough (@Molly_Mcdonough)). Finally, others suggested that there simply weren't enough women bloggers for there to be a 50/50 split or even a ratio close to that. Kelly Phillips Erb (@taxgirl) suggested (on Facebook) that another causative factor could be that male bloggers were better at promoting themselves. In response, I noted that I considered the group blogs to be a wash since in general, there were still more male bloggers than women bloggers on most group blogs. My co-author, Carolyn Elefant(@carolynelefant), expressed a similar idea in a Facebook discussion about my post, stating that although there were "a large number of group blogs and professional blogs - like the BLT, blogwatch and other ALM blogs...it is very different blogging as an individual." And if you exclude the group blogs, you're still looking at approximately a 90/10 split in favor of male bloggers. Secondly, I don't think a 50/50 split is necessary, but the ~90/10 split is disturbing and evidence of an unconscious bias (I'm certainly not alleging that there was intentional bias--I want to make that very clear). Or, as Bob Ambrogi noted on Twitter in a very diplomatic manner, if nothing else, "the list shortchanges women." Finally, I noted, along with a number of other people, that women, along with men, express an unconscious bias against other women without realizing it. Jim Milles (@jimmilles) explained this quite eloquently on Twitter: "Women bloggers could easily internalize biases that tend to favor male bloggers as more authoritative." And Robert Richards (@Richards1000) cited a law review article that supported this theory: "Audrey Lee collects the cases & scholarship: http://bit.ly/gzPKj0 Unconscious Bias Theory in Employment Discrimination Litigation." A related issue that was raised by my co-author, Carolyn Elefant, on Facebook was the lack of women speakers at many conferences. Carolyn stated: "Same on the speaker circuit. How many women lawyers are giving plenaries at the big conferences or even the solo shows? I did 3 plenaries this year and I was the only woman I've ever heard." However, this issue was also discussed on Twitter, with Stephanie West Allen (@idealwg) noting that she'd never experienced that type of bias at all during her 25+ years speaking. Finally, a number of people noted the lack of overall diversity in the selected blawgs, including Carolyn Elefant on Facebook (ethnic and racial diversity), and Andrew Weber (@atweber referring to government blawgs) and Ruth Carter (@rbcarter referring to student blawgs). The bottom line: it's not a simple issue. In fact, some would call it a non-issue and claim the disparity has nothing to do with bias.Others, like myself, disagree. I'm not sure who's right, but I do know that raising the issue elicited some really interesting discussion and it was beneficial for that reason alone.